The music portal Pigeons & Planes made a selection of songs about the city of contrasts. According to the editorial board of the magazine, after listening to this playlist, I would like to collect my suitcases and move to live in New York. 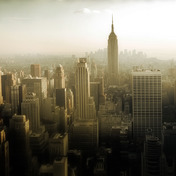 Listen to the collection New York, New York: songs about the city in high quality, absolutely free. You can listen to the whole collection, or separately song by song. In addition to New York, New York: songs about the city of the collection, you can find any other one by following the link and get information with the already collected collections and collections of tracks, songs and music.